The Singh family own and operate Chandan Fashion. 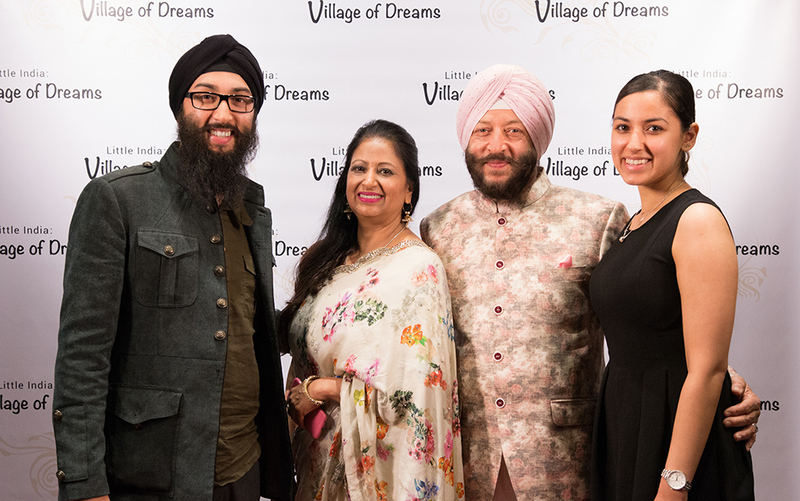 They are: Jatinder Pal Singh and Sarabjeet Singh, husband and wife and the founders of Chandan Fashion; their son Chandan Singh, who was born the same year the business was opened and who the business was named after, and their daughter Chandni Singh who now works in the mental health industry, but still helps run the family business in the “background” as she says. Chandan now runs a custom bridal wear business out of the top two floors of their iconic blue and pink building. Currently the business is undergoing a floor-by-floor renovation, transforming into a contemporary yet classical bridal salon upstairs and elegant “designer label” fashion and bridal wear downstairs. 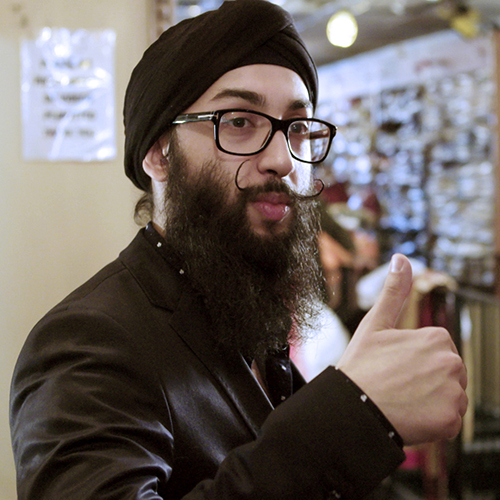 Chandan Singh looking for a thumbs up from the parents at a bridal wear fitting. 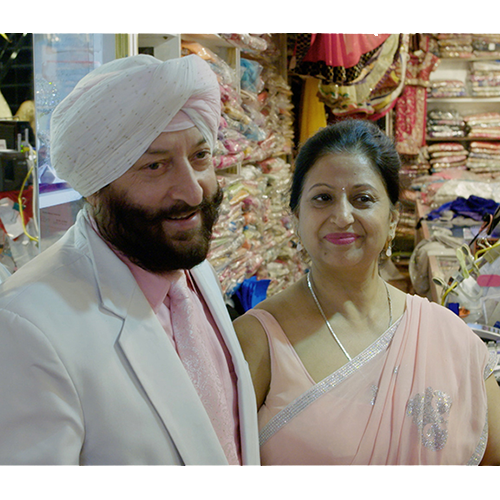 Jatinder Pal and Sarabjeet Singh, proud parents and owners of Chandan Fashion. 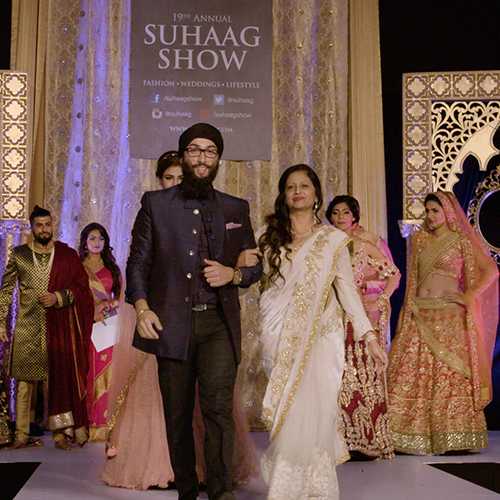 Chandan and his mother Sarabjeet take their bows at the Suhaag Fashion Show.